We started Lesly’s in the fall of 2016, and since our first day in business, we’ve been bringing the best selection of rental products and merchandise to our customers. Our name has become synonymous with quality throughout the entire Menifee, Temecula and Murrieta area. We do our best to ensure a variety of great rental items that fit every budget. We are hoping we can plan your next party! We are so very happy these past few weeks with all the referrals and all the business just off Facebook! Thank you so very much… with more work … there is more growing to do!! Just let us know what you would like to get and we can make it happen! We cover all of Menifee, Temecula and Murrieta!! As well as some parts of Lake Elsinore, Wildomar and other places nearby. We are a party equipment rental provider that provides you with a reliable service and high-quality party equipment rentals at affordable prices. You can expect premium-grade party equipment and award-winning customer service that exceeds your expectations every time. Reliability & Trust! Would you sacrifice reliability, quality and top level service just for a cheaper alternative? We didn’t think so. 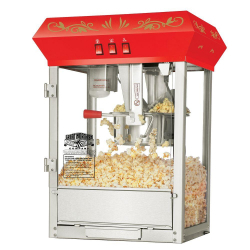 We are a reliable service based party equipment rental provider that offers personalized party rental experiences for our customers. 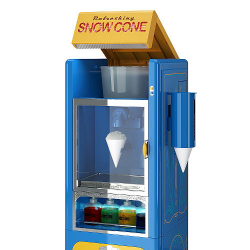 Hot Dog Steamer, Cotton Candy Maker, Snow Cone Machine & Popcorn Machine! With over 50 bounce houses, 100+ tables and chairs, power generators, concessions and tents, no other provider even comes close. Let us know what you need and we can make anything happen! We at Lesly’s want to make sure you smile! Whatever we promise with our party equipment, we will deliver on time and in excellent condition. There are no surprises with add-on expenses. The price you receive in the beginning is the price you pay in the end when you decide to rent our party equipment. We want to make sure you are content with our equipment! Ask about our 99$ special! 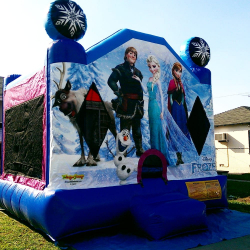 Party Rentals – Lesly’s is located in Menifee, Ca. 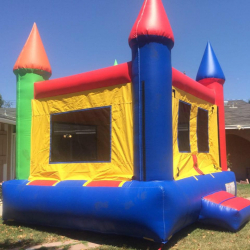 Party Rentals is a veteran owned company establish in 2016 and family oriented to provide smiles and building lasting friendships with our customers… family owned and operated. We are fully licensed and fully insured to operate in all city and private parks such as HOA’s. We are also licensed and insured for churches, all business areas, and homes. We just had a super fun weekend with your bounce house. All the kids loved it and it was clean inside. Fast and friendly drop off and pick up. Thanks for helping make the weekend more memorable.